How Do Pediatric Dentists Differ From Family Dentists? - Adelberg Montalvan Pediatric Dental PC & Orthodontics too! How Do Pediatric Dentists Differ From Family Dentists? You may be asking yourself, “what’s the benefit of choosing a pediatric dentist for my child over a family dentist?” The answer, in short — a lot! Allow us to break down some of the main differences that make pediatric dentists the obvious choice for parents worldwide. Pediatric dentists receive specialized training. All pediatric dentists are required to complete a minimum of two years as a full-time resident, receiving additional training specific to children’s oral health. During this specialized training period, each dentist gains experience evaluating and treating developmental and growth issues related to the mouth, jaw, face, and head for children of all ages — including treatments requiring sedation or anesthesia. 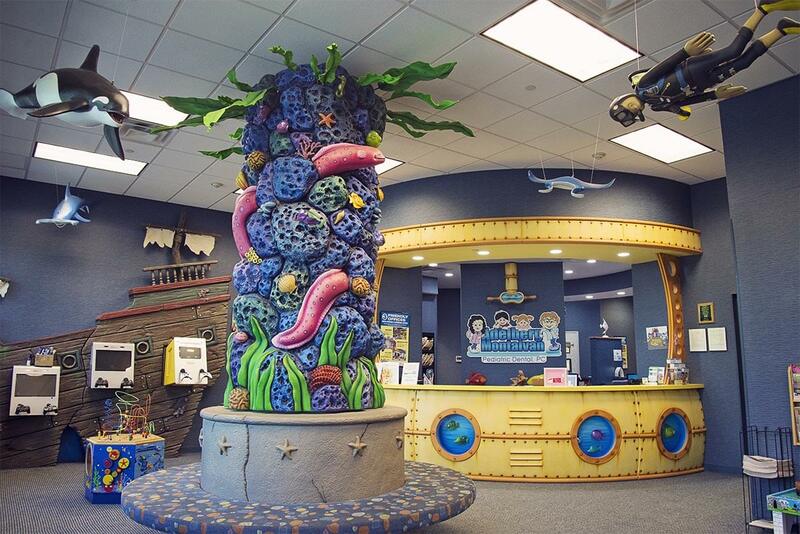 Pediatric dentists are 100% kid-friendly. From the kid-friendly tactics they learn and implement from their residencies to the fun and inviting atmosphere of their office, pediatric dentists are all about kids! Let’s face it, dealing with wee ones can be difficult, especially when it comes to dental health. We know how frightening the dentist can be for children, but as pediatric dentists, we’ve been trained how to put your children at ease and get them on the road to better dental hygiene in no time. Here at Adelberg Montalvan Pediatric Dental, our main focus is the children! We work hard to make sure your child’s primary teeth are in tip-top shape in order to make way for even healthier permanent teeth. Is it time to schedule your child’s bi-annual cleaning and exam? If so, reach out to one of our three Long Island locations today! We offer pediatric dental services in Massapequa Park, Nesconset, and West Islip.